Hot Pink is aptly named. Not fuchsia, not magenta, not electric. Just a clean, bright, hot pink. Hot Pink applies with almost-full coverage with one swipe. Two swipes will definitely give you full coverage. Like with all Water Drop Tints, it sets after a couple of minutes into a soft shine that clings to your lips. The color lasts for hours if you don’t eat and feels really comfortable and hydrating. 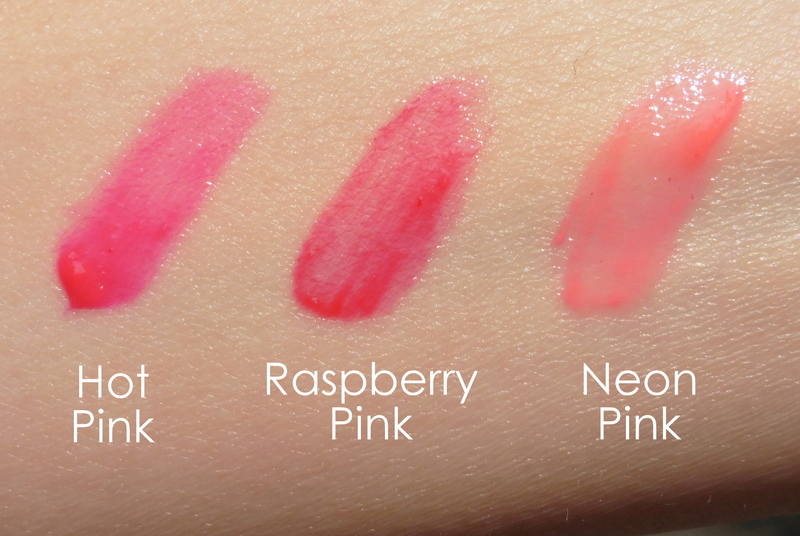 I swatched it alongside her sisters Raspberry Pink and Neon Pink for comparison. Hot Pink and Neon Pink actually stained my arm when I washed off the swatches. As you can see, Raspberry is a deeper pink (and more office appropriate, although I wore Hot Pink to work yesterday anyway . . . take that, societal norms!). Neon is a warmer pink and much lighter in color and in opacity. 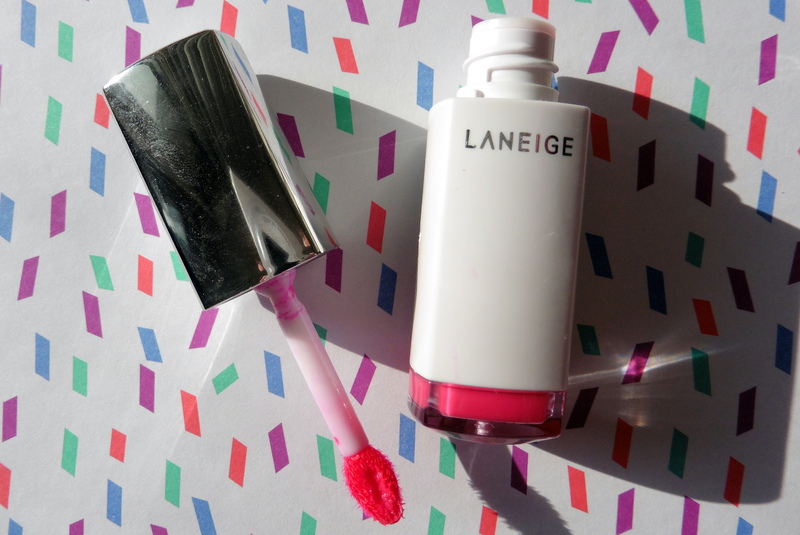 Hot Pink has officially joined Raspberry and Neon as my favorite shades of Water Drop Tints. 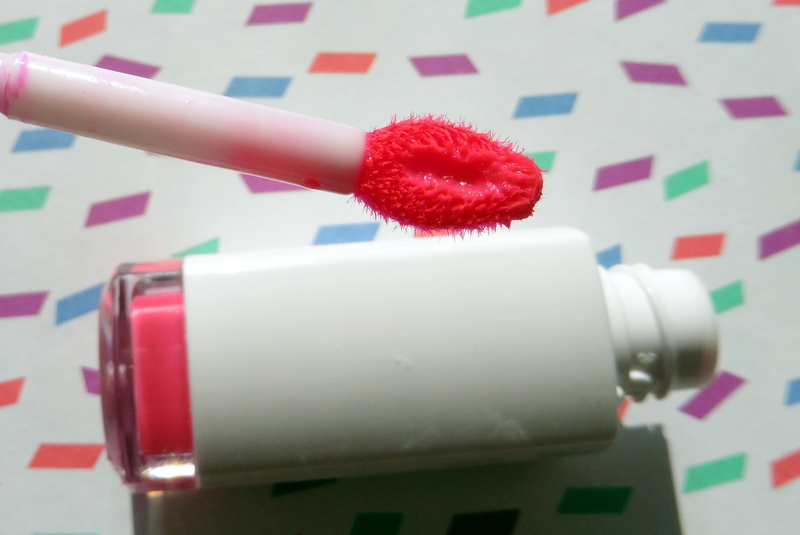 It’s an easy way to add fun and cheer to your look and also makes a beautiful gradient lip. It looks sooo good! 🙂 Does it stain after you eat or is it one of those lip tints that only last long if you don’t eat/drink? It leaves a stain. I’ll still touch up the center of my lips to add back the shine though.